Christina Smith is a Business Management, International Business and a Political Science triple major here at West Chester with a love of learning. At 31 years-old, her experience serves as an example of taking your time to achieve success. Being in college at 18 vs. 31, Christina has developed the most effective way to approach her school work. 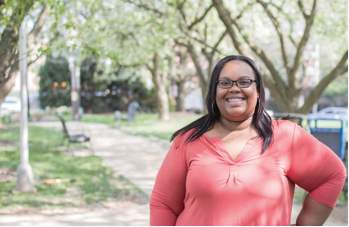 Christina loves WCU and the opportunities it provides, and she hopes to provide similar opportunities to young people in her community. Katherine Mash is a second-year student majoring in communication studies with a minor in computer science. She can be reached at KM854840@wcupa.edu.